BMW is pleased to offer drivers the Certified Pre-Owned program that covers every CPO vehicle sold at any participating BMW dealership. This program provides owners the confidence of knowing they didn't sacrifice performance for price. The BMW Certified Pre-Owned Program was designed to give you a pleasant and rewarding ownership experience. When you own one of our Certified Pre-Owned BMW vehicles, you will experience the benefits of a travel protection program. It's available 24 hours a day, 365 days a year. This BMW Roadside Assistance Program is available in 50 states including Puerto Rico and Canada at no additional cost. The BMW Roadside Assistance Program is there for you in the event of a dead battery, if you’re locked out, need towing, changing your flat tire, or in need of valet services. Ran out of gas? No problem, a service representative will even supply you with fuel (at your cost) if you need fuel. Some of these services are not covered under the BMW New Vehicle Limited Warranty but are part of the BMW Roadside Assistance Program that offers a maximum of $100 in coverage per incident. If you have been considering purchasing a Certified Pre-Owned BMW, then now is a good time to do so. 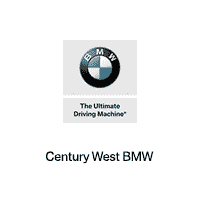 If you are near Studio City, Glendale, West Hollywood or Los Angeles, come in and speak with our sales team experts at Century West BMW to learn more about the BMW Certified Pre-Owned program.